The journey to LGBT representation has been a long one, to say the least. On television today you’re almost guaranteed to find a main character somewhere on the LGBTQ+ spectrum; film not so much. But sometimes the representation we have can be obtuse and surface level when it comes to the characterization of queer characters. Is Hollywood really doing the leg work to be inclusive or are they meeting a diversity quota so there isn’t any backlash? Even then, producers walk an unpredictable minefield of handling issues specific to the community, such as HIV/AIDS and the challenges faced by trans women and men. Subjects like these have to be done with intention and precise execution because it is simply not enough to throw a character from that group into a cast, and call it a day. Education is key for the foundation to these stories, but the authenticity is what makes the character relatable and distinct. Black Panther, a story about Prince T’Challa who takes up the mantle as the king and protector of the fictional country of Wakanda, debuted in such a blaze that it became the second highest grossing film of 2018. Why is this significant? Through the tenacity of Ryan Coogler (the writer and director), Black Panther was able to come to life in a way we couldn’t imagine. Adapted from the comic book to the big screen, the execution of the film was exactly what the world, and more importantly, the Black community needed. Being an avid comic book reader myself, I grew up reading Marvel comics and at first, I was skeptical if this film was going do as well as it did. Not that I didn’t trust in the team who helmed the project, but superhero movies with a predominantly Black cast are rare. Too rare. The film and comic book industry are still heavy with privileged white men, who most of the time, don’t get it. With the release of Black Panther, the film proved to Hollywood that African-American narratives have the power to profit from all audiences. Though Black Panther was extremely successful, it was not without criticism. 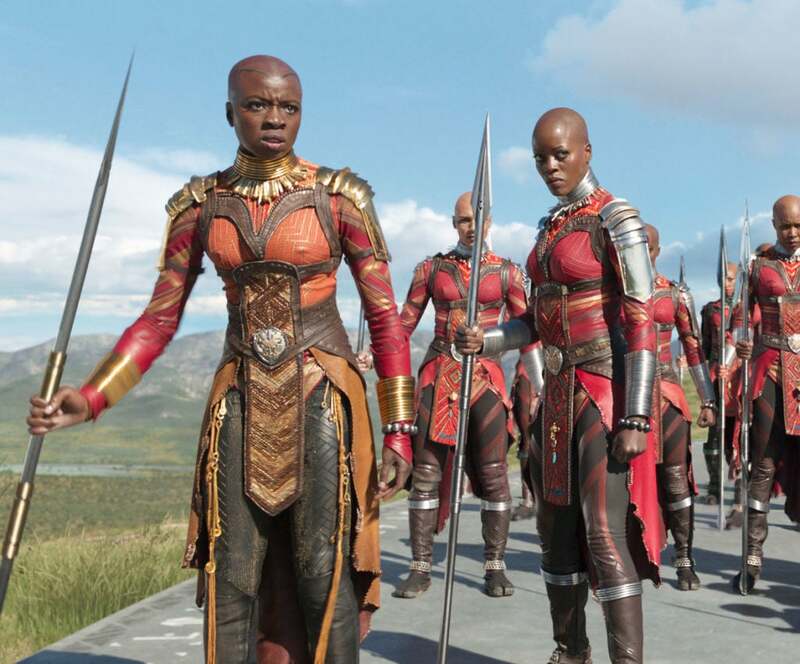 Many fans were upset at the supposed erasure of the queer identity of Okoye (played by Danai Gurira), the general of the Dora Milaje. While I understand the frustration (being a gay Black man myself), this wasn’t the case. For this to be a case of erasure, which Hollywood is infamous for doing, the character herself would’ve needed to identify as a lesbian/queer in the source material; she was not. In fact, in the spin-off comic book, World of Wakanda, tells stories of two African women, who are also lovers, Ayo and Aneka, and former members of the Dora Milaje. Ayo, played by Florence Kasumba, makes two cameo appearances, one in Black Panther and another in Captain America: Civil War, but is not featured in a major way, nor is her sexuality mentioned, or even hinted at. If you’ve read any of my previous work on the site, you know I’m not here to cape for anyone. I call out everything as I see it. But after watching Black Panther multiple times (at this point I’ve lost count…don’t judge me), I’m happy the directors and writers didn’t include the scene. Representation that’s half-assed will do more harm than good. If these ideas and executions aren’t done organically then I don’t want it. Would the scene in question have driven the plot in some way or was it thrown in to appease? There’s nothing wrong with wanting representation and it’s something that’s needed, but making a character gay for kicks defeats the purpose. Sexuality isn’t something to just slap on a character. So often we see writers and directors mishandle issues when it comes to the queer characters we currently have and more muddled narratives is something we don’t need. There are so many LGBTQ+ characters in comics that, according to GLAAD, they were able to up their Outstanding Comic Book award from five nominees to ten nominees to reflect the quality and quantity we are seeing. With so many LGBTQ+ comic book characters, it’s impossible to ignore that big studios have ample opportunity to bring them to life on the big screen. America Chavez, a.k.a Miss America, is most notable as a member of the Young Avengers. She’s a super strong badass with the ability to fly and travel to other dimensions. She’s also bisexual, making her the first LGBTQ Latinx superhero to get her own solo comic book. Iceman is an interesting character for the simple fact I would’ve never thought he’d be on this list. As one of the original X-Men, he was portrayed as straight for decades before being outed as gay in 2015 by none other than, Jean Grey. Due to time traveling shenanigans, there were two versions of the character at one point: A teenage Iceman who realized he was gay after Jean Grey read his mind, and an adult version who stayed in the closet and dated women for years, but came out after being confronted by his younger self. I don’t know about you, but I’d love to see all of this played out on the big screen. 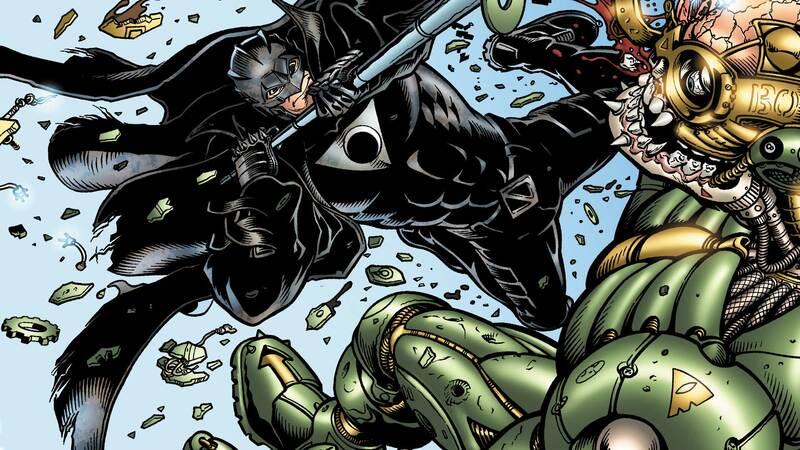 Originally, a parody of Batman from a previous publisher, Midnighter officially became a part of the DC universe when DC obtained the former publisher. Armed with the ability to predict combat moves in advance, Midnighter is a hyper-violent action hero with no hesitations about killing his enemies. He also has a husband named Apollo—who’s basically a gay blond Superman. Here for it. 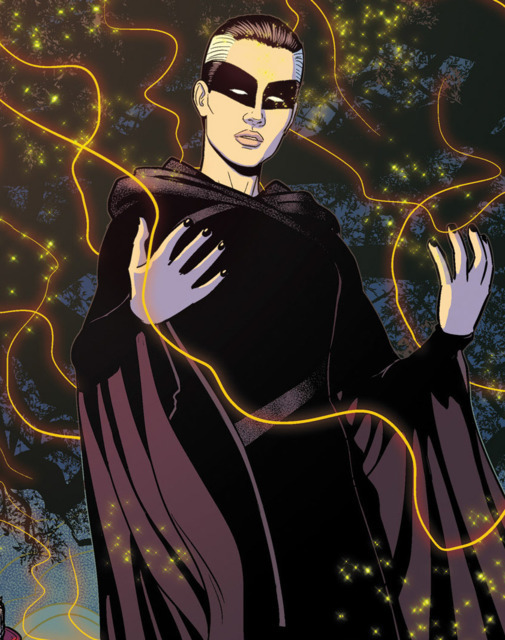 Cassandra is one of the main characters in The Wicked and The Divine comic series, and a critical human journalist who is also a transgender woman. She spends most of her time in the beginning dismantling the glamor and divinity associated with the Pantheon, before later becoming Urdr, the Norse goddess of the past and fate. Her character is not a mere token, but written and presented with a distinct identity. She also uses her newfound godhood to continuously challenge ideals both human and god, alike. I know I’m cheating by putting two characters in the same slot, but if you’ve read the Young Avengers series you’ll know that these two come as a pair. Wiccan is a powerful magical teen hero who, along with his twin brother Speed, are the reality-warped children from Scarlet Witch and Vision (it’s a lot. Trust me.) and Hulkling is a Kree/Skrull hybrid, who is the son of a Skrull royalty and Captain Mar-Vell himself. The abilities from each of the race’s unique abilities are greatly enhanced making him a powerful ally and deadly adversary. They’re boyfriends and get embroiled in plenty of relationship drama while still fighting to save the world. Those are only a few examples of characters in the comic book world. We have all the source material so why are we not using it to create new films? Whenever it happens, I hope it’s done right the first time and every character is given the same attention and care as their heterosexual counterparts. This is also not to take away from the strides made in television. With the positive response from characters like Karolina Dean and Nico Minoru from Marvel’s Runaways, John Constantine from The CW’s Legends of Tomorrow and Anissa Pierce/Thunder on The CW’s Black Lightning, the world is ready for the same energy on the big screen. Everything is laid out, but what will the big studios do? I guess we will have to see.